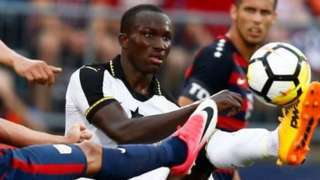 Brighton pull out of a deal to sign Raphael Dwamena from FC Zurich after the striker fails a medical. 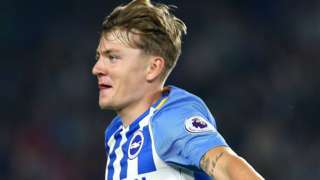 Substitute James Tilley scores his first senior goal as a much-changed Brighton ride their luck to edge past League Two Barnet. Thanks for joining the team - we'll be back tomorrow from 06:00 BST with all your news, travel, sport and weather. 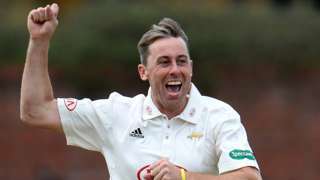 We'll be here until 22:00 BST with all your news, sport, travel and weather for the county. Two years after the air crash disaster, flowers are laid at a memorial stone and a service is held. Would you send your kids to school on this bus? A school minibus has been filmed ignoring warning lights at a West Sussex level crossing. New cameras at the crossing near Yapton have caught 150 drivers jumping the red lights in two months. 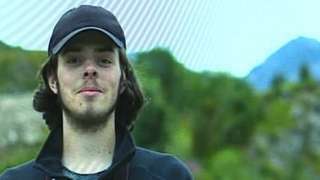 The Durham University student plunged to his death from a Tokyo building on New Year's Day. Murderer Jamshid Piruz lashed out at two police officers with a claw hammer in January 2016. The reserve battalion of the Princess of Wales's Royal regiment have been taking part in an exercise designed to get NATO forces practicing working alongside each other. A22 East Sussex both ways severe accident, between B2102 and A26. A22 East Sussex - A22 in Uckfield closed and very slow traffic in both directions between the B2102 junction and the A26 junction, because of an accident involving lorry and car. The summer's been a washout, and local businesses are paying for it. What's this afternoon's weather going to be like? It should be bright and warm. Here's my lunch-time forecast. Piruz has already served six months so could be back on the streets by the end of 2019. He previously served six years in the Netherlands for locking his female tenant in a room and then slitting her throat. It is highly frustrating that a male, who is a convicted murderer in another European country, has been treated so leniently by the appeal judge. When located by police, who were searching for him to arrest him for a string of recent offences in Crawley, he was prepared to use significant violence towards officers in an attempt to avoid apprehension. Who can forget the body worn video footage showing the officers with hammer blows raining down on them, before sufficient numbers arrived to subdue and control him. These officers were attacked and assaulted while simply doing their job, investigating crime and seeking to bring criminals to justice. 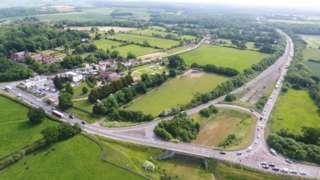 One option for the A27, which runs through the South Downs National Park, was set out 30 years ago. Flowers have been laid at the Old Tollbridge in Shoreham to mark exactly two years since 11 men died in the Shoreham air crash. Two of the men who died played for Worthing United, Jacob Schilt and Matthew Grimstone, and the club's players will be wearing black armbands during their match tonight. Quote Message: Today marks the two-year anniversary since the Shoreham air tragedy. Our first team travel to Horsham YMCA this evening, to play a Peter Bentley Cup fixture - kick off 19:45 BST. Maverick's players will wear black armbands, and observe a minutes silence before the match. 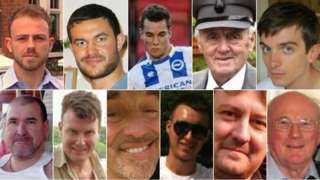 Today marks the two-year anniversary since the Shoreham air tragedy. Our first team travel to Horsham YMCA this evening, to play a Peter Bentley Cup fixture - kick off 19:45 BST. Maverick's players will wear black armbands, and observe a minutes silence before the match. Club members and supporters are reminded that there will be no official remembrance event on Tuesday, however those who wish to remember the boys, are encouraged to travel to our first team match. The club will not be open during the day; therefore we recommend that you visit the away match. "As we mark the second anniversary of the RAFA Shoreham Airshow tragedy, our thoughts and prayers remain with the families and loved ones so very much affected by the great sadness caused by the events on that day. We continue to help with the investigations into the matter and stand ready to help anyone who may need our assistance and support at this time. We would also like to express our gratitude to our many volunteers who assist us through this very difficult time."